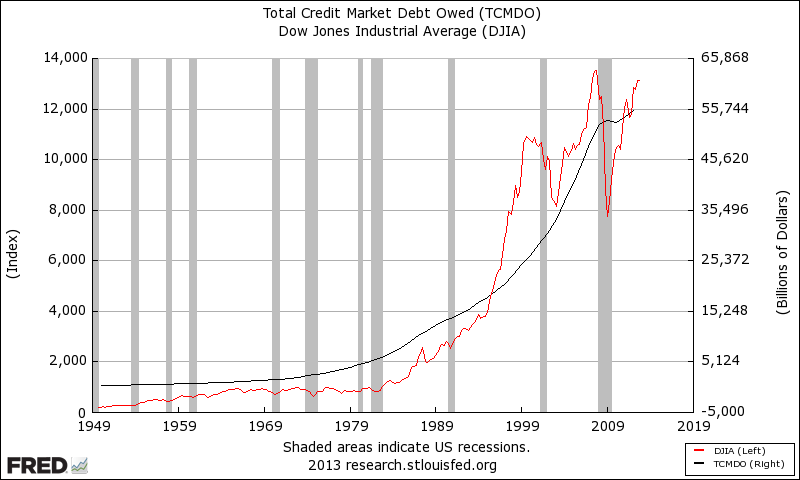 Just one graph: does the stock market rise because of the rise in total debt? « Chinese monetary policy – how does it work? The more important question is: does the economy grow because of the rise in total debt? Does economy fall with fall of total debt? Read Steve Keen on that too. Answer is yes. Very, very important. But how to talk about money, banks an debt when classicals are concerned only about goods and services? “Money, money, money, money makes the world goes around!” Was Liza Minnely more correct then the whole generations of economists?